The Chintz Age is about bohemians and the middle class struggling to survive and maintain relevance in an urban climate that has become overly expensive and increasingly hostile to their very existence. 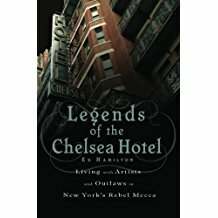 While the stories are set in NYC, the themes they deal with are equally relevant to any rapidly changing urban environment. Can living in a bland glass and steel tower erode your soul? In “Highline/Highlife,” a young writer who enters into a marriage in bad faith to advance his career, willing himself to be a sort of master of the literary universe, becomes trapped in his glass apartment overlooking the Highline, the disintegration of his life and career on display for the amusement of poorly dressed tourists. The writer is driven to adultery, and then madness, through living under the constant scrutiny of passersby. The displacement of mom and pop shops by chain stores and bank branches has become a hot button issue of late, as cities become increasingly standardized and suburbanized. In “Fat Hippie Books,” a bookshop owner, faced with the imminent closure of his small East Village shop due to skyrocketing rent, sets off on a journey of self discovery intended to mirror one of Beat legend Jack Kerouac’s famous road trips. The decrease of affordable housing has led to a climate of increasingly cutthroat competition for living space in NYC. 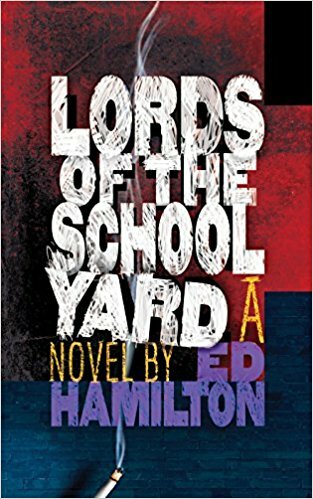 In “The Retro-Seventies Manhattan Dream Apartment,” the novella that completes the collection, a schizophrenic dinner theater actress and a psychopathic computer programmer, dark soul mates bound together in a twisted love affair, engage in a battle of wills in a bid to control a valuable piece of rent stabilized real estate. 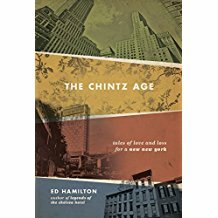 The Chintz Age is Available Now - Buy here or on Amazon. Or buy directly from the publisher by clicking here.